The anime is strange. I couldn't tell if it was a comedy or a horror but it's a little of both. 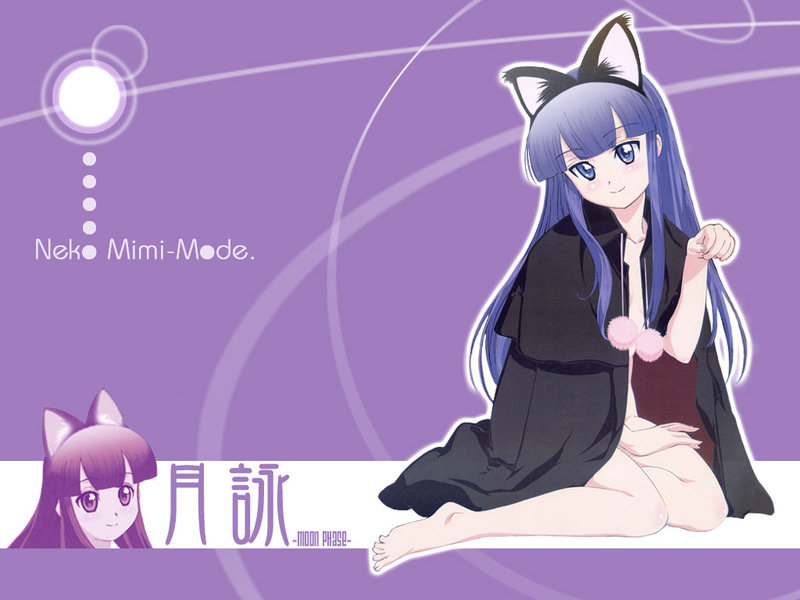 She's very cute with her neko mimi :) Thanks! Really nice neko-girl XD wow!! But this is the first time I see that girl *__* Is she so lovely than pretty? Great! These Tsukuyomi wallies are tough to find since the series is so new. Tsukuyomi wallpapers are hard ti find indeed, or they are crappy -_-. But i like thisone!